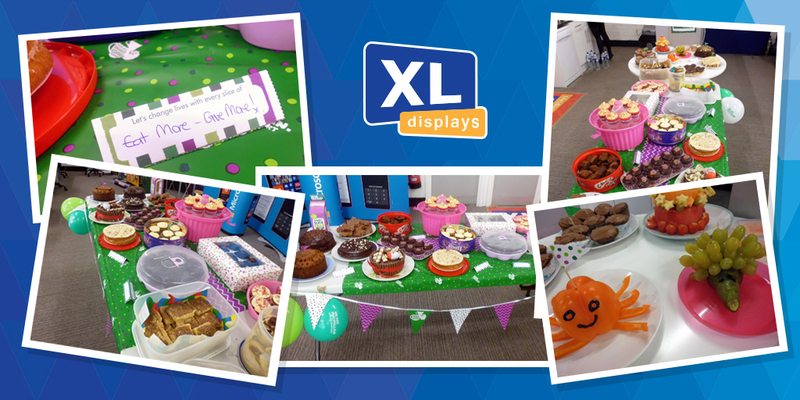 We are proud and pleased to announce that during 2016 we, at XL Displays, have raised £3700 for various charities. As a growing business selling exhibition stands and portable display equipment we want to give back to our community and have held various charity events throughout the year. Not only have we raised a fantastic amount of money, our team members have had a great time in the process! 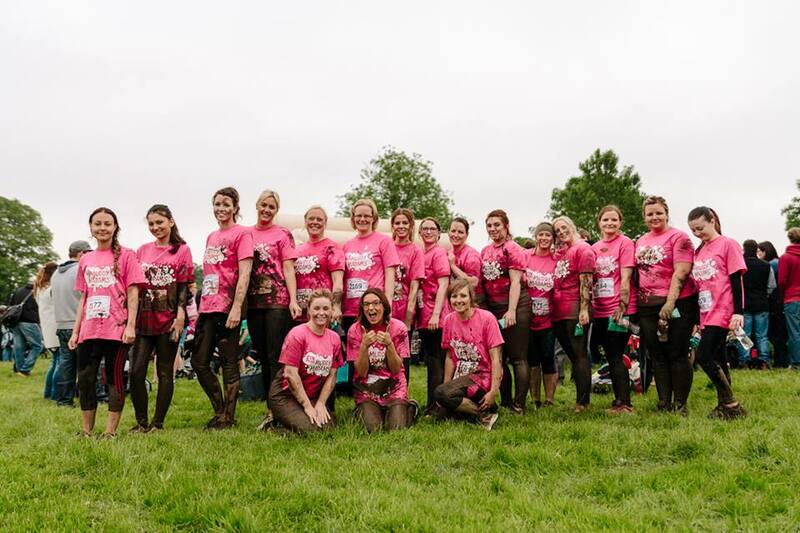 In June a team of intrepid XL ladies – the Muddy Madams – got pretty grubby in Pretty Muddy, a 5km obstacle race with mud, in aid of Cancer Research UK. 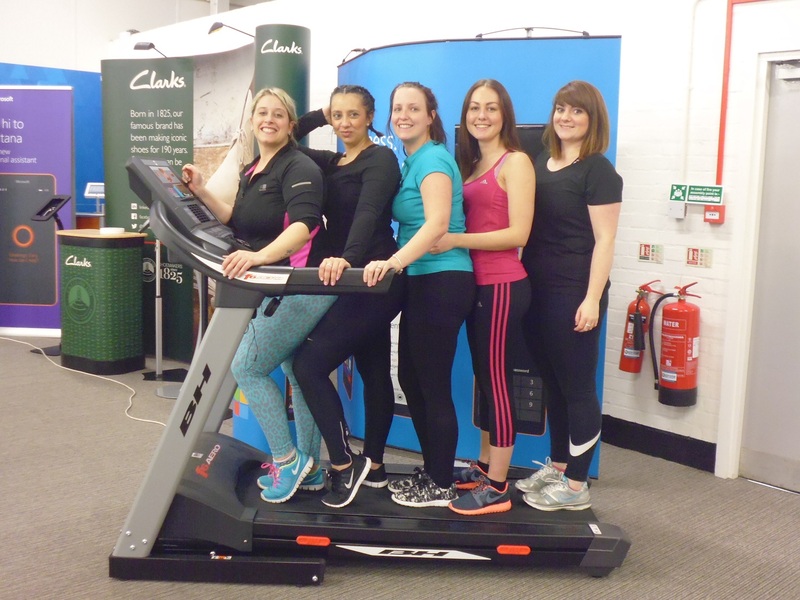 Sponsorship and support from colleagues, family and friends raised over £955 for this charity. As summer came to an end we took part in the World’s Biggest Coffee Morning for Macmillan Cancer Support. Our team pulled out all the stops with their cakes and bakes, raising £144. 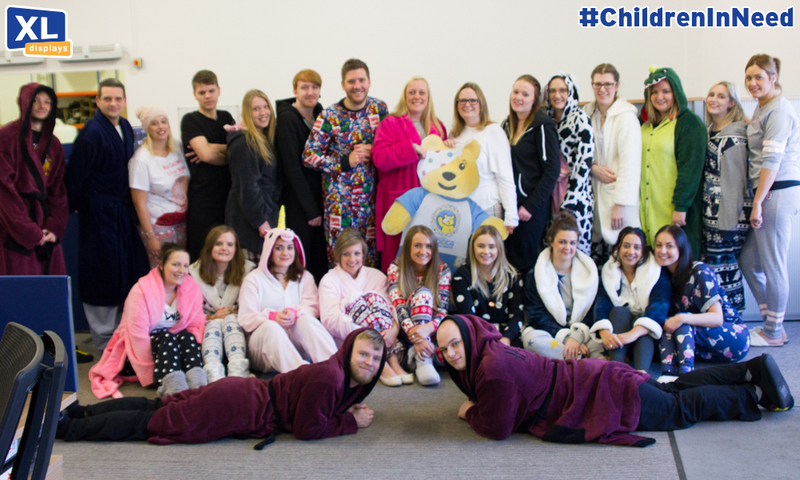 More cakes were consumed for Children in Need when we donned our PJs for Pudsey and raised £196. 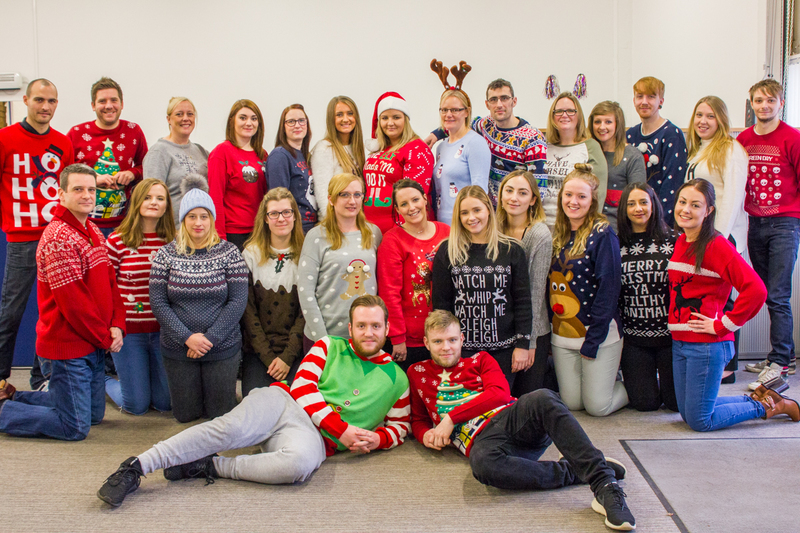 To finish the year with some festive fundraising we celebrated Save the Children’s Christmas Jumper Day, raising £125, and donated 340 items to Peterborough Food Bank. We would like to thank all of our staff for their support and participation and we look forward to more fundraising fun in 2017. For more information about any of our fundraising efforts or to find out more about our products please contact us or call 01733 511030.